I just realized that I neglected StS for the longest time, and as a result, most of the books I received for review have yet to be featured. I'll be playing catch up in the next few weeks just to make sure that everything's featured, and hopefully I'll be all caught by when February rolls along! OOh very nice! These are all new to me but I hope you enjoy each and every one of them! Nice assortment of books. I'll be eager to hear what you think about Gayle Forman's as I have seen them around and been curious. Come see what I got at Ms. Martin Teaches Media and Inside of a Dog. Happy reading! Yay for Ella and Micha! I dig Jessica Sorensen. Got two of hers this week myself. 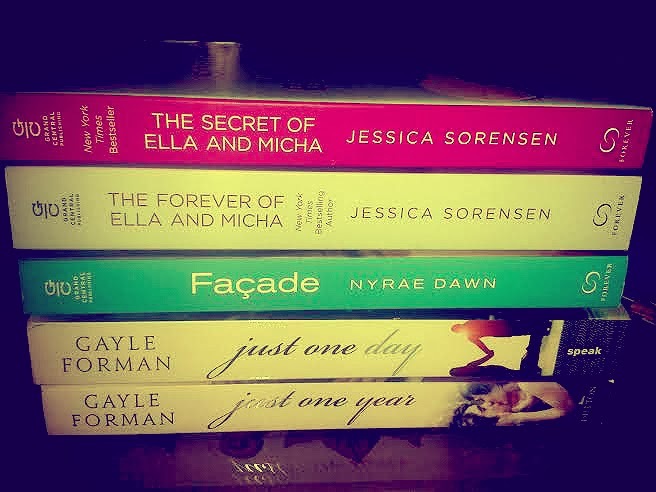 I loved Gayle Forman's If I Stay series, but I haven't read her new series yet. 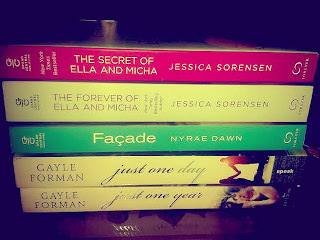 It's on my TBR! Good haul! Evertrue looks great. Nice haul of books you got there, hope you enjoy them! Take a look at what's In My Mailbox this week! Evertrue & Infinite were great! I have been dying to get my hands on Faking Normal. Great haul. Happy reading.